Waterproofing isn't a DIY project. As you look around, you will find many different choices when it comes to waterproofing methods and waterproofing products. Buyers beware! You will see television ads with high priced spokesmen telling you that their method of waterproofing is the best. You will find articles and websites on the internet telling you why their methods are the best. You will hear radio advertising tell you that XYZ Waterproofing is the best because they have been around the longest or they are the cheapest. You will hear and read a lot of advertising, but with some basic information you can determine if what you are being told is correct. The hiring of a professional engineer is the single most important piece of advice. This engineer will evaluate your structure and give you a written analysis of the structure. Most foundation engineers can recommend a waterproofing expert that is well versed in multiple types of waterproofing products. Parts of your house may need an interior drain while other parts may need exterior grading while yet other places may need foundation repairs or a sump pump. Do not risk your home getting flooded by hiring an unqualified contractor using inferior products or systems. If your interior drain system is not sealed off from the living space moisture, humidity, mold, iron bacteria, and mildew are free to circulate within your home creating poor indoor air quality. 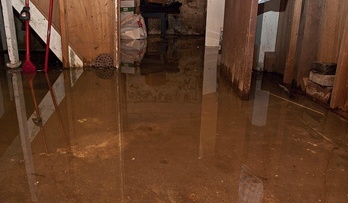 Sealed interior drainage systems that feed a sealed sump pump system prevent basement humidity. Open-backed interior drains create an unhealthy environment for your family as well as increase energy costs. Many times companies that use these cheap open backed systems push you to buy a dehumidifier due to the fact that they know the moisture in their drain system will cause high humidity levels in your home. Sealed drain systems and sealed sump basins are designed to increase indoor air quality.